Just bought a new iPhone 6s or iPhone 6s Plus? There’s a fifty-fifty chance that you got a phone using a processor that heats up and drains power faster. 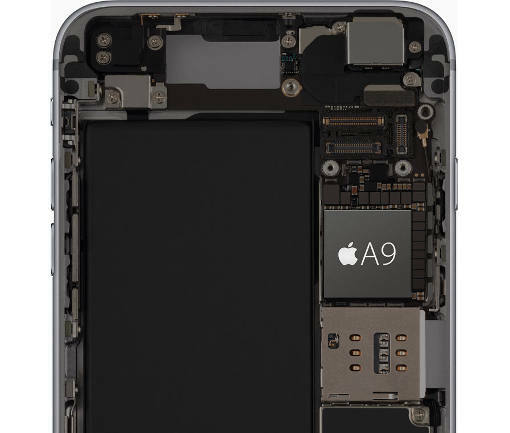 Apple powers its new iPhone 6s and iPhone 6s Plus with the same A9 chipset made by two manufacturers, Samsung and TSMC, to meet the rise in sales during the phone’s launch. But tests are showing that the Samsung-made chip could guzzle power faster and generate more heat than the TSMC chip. MacRumors reports that as of today, one out of two iPhones contains the Samsung chip. The two chips’ processing performance differed little in benchmarks, but battery life and temperature test results showed that the TSMC chip has an edge over the Samsung chip. In the Geekbench 3 test suite’s battery test, for instance, the TSMC chip reportedly ran about two hours longer than the Samsung processor, seemingly confirming rumors of the superiority of TSMC’s 16-nanometer process to Samsung’s 14-nanometer process. John Poole, who works for Geekbench developer company Primate Labs, found the two-hour difference in battery life surprising, especially since the chip variants performed similarly in performance tests. Tests like Geekbench's don't necessarily reflect real-life use. They can give you an idea of how a phone will behave under extreme stress, but in actual practice, most phones don't undergo that kind of stress. But the test results do indicate that phones with TSMC chips consume power more efficiently than phones with Samsung chips. Apple told TechCrunch that artificial tests are not accurate ways of determining battery life in real-world usage. Basing on its own internal tests and customer data, Apple reports a 2 percent to 3 percent difference in battery life between the Samsung and TSMC chips. To find out whether your phone has the Samsung or TSMC chip, install the Lirum Device Info Lite app. On the app’s Model Information page, if you see either N71AP or N66AP, you have the Samsung-made A9 chip. If you get N66MAP or N71MAP, you have the TSMC-made A9 chip.